The MobileSight Software Suite contains modules that manage, control, and operate all system features. These modules reside on Windows-based computers, iOS devices, most tablets and smartphones, MobileSight Surveillance Units, and in the MobileSight Cloud. This unique system architecture enables a customized user-experience while maintaining the highest levels of performance and function. Communications - Live and recorded video can be transmitted o' Ethernet, WiFi, Broadband 3G and 4G LTE. MobileSight Surveillance Units are provide video at high resolution and frame rates with 4G LTE. Recording/Archiving - Video can be recorded and archived locally in the MobileSight Surveillance Unit; either in the camera itself, the enclosed hard drive, or both simultaneously. In addition, video can be recorded and archived remotely in the MobileSight Cloud, or in a WAN server. Recorded video parameters are selectable up to full HD resolution and 30fps. Video can be selectively retrieved from the MobileSight video databases and exported for playback. Record and archive parameters allow the recording of time lapse video spanning days, weeks, and months. Remote Access Connectivity - MobileSight MobileSight Software Suite provides full remote access to all MobileSight Surveillance Units. System maintenance, software updates, firmware updates, and parameter adjustments, can all be accomplished remotely by the MobilSight team or you. System Expansion - The MobileSight Software Suite enables Surveillance Units to be deployed in single or multi-unit systems —in any combination of MobileSight 360, MobileSight Stealth, and MobileSight Mini. There is no limit to the number of units that can be deployed within a system. Units deployed in multiple locations can also be a part of a single system. MobileSight Cloud - The MobileSight Cloud performs secondary off-site video recording, as well as user password management and administration. Events and Notifications - MobileSight software can provide email, and SMS messages with attached images when user-determined triggers are activated such as motion detection. Any number of individuals can be notified. 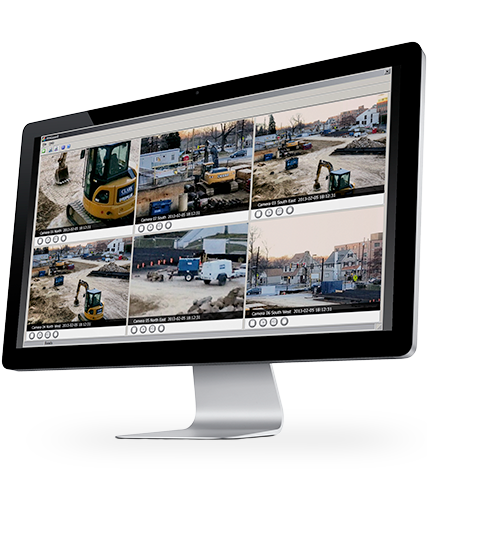 MobileSight software can be programmed to continuously patrol an area using automatic PTZ, as well as, programmed to zoom in on an entrance/exit area when motion is detected. The MobileSight Software Suite provides extensive features and functions for both mobile and desktop users. Live video can be sent to display devices directly from MobileSight Surveillance Units as well as through the MobileSight Cloud. Integration of 4G LTE technology enables high quality and high frame rates. Multiple Display Devices - Live cameras can be received on iOS devices (iPhone & iPad) as well as Windows based desktops, tablets and smartphones. Live video can be received on dedicated proprietary MobileSight Clients as well as web browsers. Display Device Camera Controls - Users can pan tilt, zoom and create preset camera positions from display devices. Live Video Frame rates & Resolution - High-quality video transmission is possible through the use of H.264 compression. The MobileSight Software Suite using 4G LTE technology enables the highest frame rates and resolution over broadband networks.